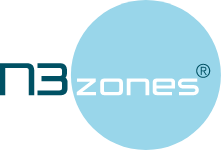 N3zones was founded in 1995 in Rud, Norway and now has franchisees in both Sweden and Norway. The company has developed a patented, fixed carpet with unique characteristics designed to stop dirt and moisture in entrances, reducing bacteria and contaminants and making the indoor air significantly cleaner. As the business expanded, support and compliance issues quickly became a priority. The company’s franchisees and their certified installers have always received training and support from the central organization, but the existing intranet was no longer sufficient after a period of prolonged growth. As the management team evaluated the possibilities – which ranged from building a new intranet system to customizing a SharePoint installation – it quickly became apparent that owning and developing their own solutions was not part of their core business as franchisors. Dag and his team agreed that the business needed a hub for its educational materials while simultaneously bringing all communication into a single platform and providing interactivity for users. – Dag Hognerud, CEO of N3zones. Thanks to Chainformation, N3zones now has a hub for the entire chain. This new environment is used and appreciated throughout the company, and most of all by the franchisees who no longer needs to “search everywhere” for information, tools and support. Do you want to see our platform live?